According to a new study, Healthy diet may decrease the incidence of Gallstone disease. Higher adherence to healthy dietary patterns (Dietary Approaches to Stop Hypertension [DASH], Alternate Healthy Eating Index [AHEI-2010], alternate Mediterranean [aMed]) may lower the risk of symptomatic gallstone disease. Results of the study published in the International Journal of Epidemiology indicates that dietary interventions with a focus on high-quality diets may decrease the incidence of gallstones. Janine Wirth, Department of Nutrition, Harvard T.H. Chan School of Public Health, Boston, MA, USA, and colleagues conducted the study to investigate the association between three diet-quality scores corresponding to adherence to healthy dietary patterns (aMed, AHEI-2010, DASH) and the risk of symptomatic gallstone disease. The study involved a total of 43,635 men from the Health Professionals Follow-up Study—an ongoing prospective cohort study of US health professionals. Study participants were free of symptomatic gallstone disease and diabetes and provided dietary information every 4 years from 1986 (baseline) to 2012. The aMed, AHEI-2010, and DASH scores were generated and associated with the risk of symptomatic gallstone disease using Cox proportional hazards regression. 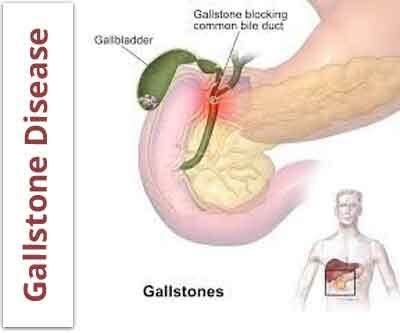 During 716 904 person-years of follow-up, 2382 incident cases of symptomatic gallstone disease were identified. All three scores were inversely associated with risk of symptomatic gallstones after adjustment for potential confounders including age, smoking, physical activity, energy and coffee intake [hazard ratios (HRs) and 95% confidence intervals (CIs)] comparing the highest with the lowest quintiles: aMed: 0.66 (0.57–0.77), AHEI-2010: 0.64 (0.56–0.74) and DASH: 0.66 (0.58–0.76)]. Findings were similar after additional adjustment for body mass index and after inclusion of asymptomatic cases. Associations were stronger when the analysis was restricted to cases who had undergone cholecystectomy. “In this prospective cohort of male US health professionals, higher adherence to the aMed, AHEI-2010 and DASH diets was associated with lower risk of symptomatic gallstones. Dietary recommendations focusing on high-quality diets targeting symptomatic gallstone disease may lower the incidence of this prevalent disease,” concluded the authors.